Kia owners in Lafayette love the unique combination of looks, reliability, and economy of their Kia automobiles. 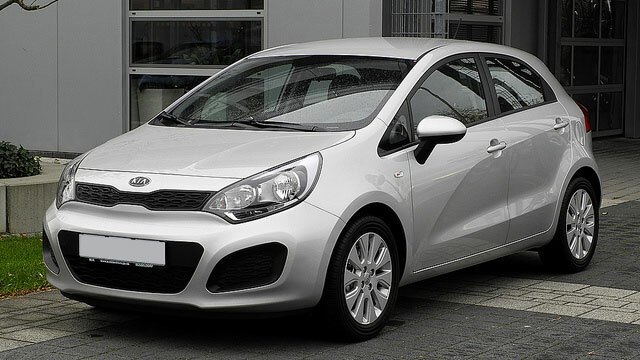 Whether you drive a Rio, Sportage, Sorento, or other Kia model, you want to keep it in tip-top mechanical condition. And that means enlisting the help of the best auto mechanics around when it comes time for car repair on your Kia. Where are those mechanics? Right here at Guaranteed Automotive & Transmission Service, of course. When you bring your Kia to our ASE-Certified auto mechanics, they’ll do a bumper-to-bumper inspection using sophisticated, state-of-the-art diagnostic tools and techniques. Then, they’ll perform any needed car repairs with the honesty and expertise that has set Guaranteed Automotive & Transmission Service head and shoulders above the rest in the Lafayette area. So when it’s time to bring your Kia in for car repair, rest assured that the auto mechanics at Guaranteed Automotive & Transmission Service will have you back on the road in no time. Schedule an appointment online , call us at or stop by. Guaranteed Automotive & Transmission Service is conveniently located at 3742 State Rd 38 East Lafayette, IN 47905.